Listed below are Exhibitions and Symposiums where Kulite will be displaying our products and technology. In some cases complimentary passes may be available from Kulite. This Automotive Expo in Germany is the world’s largest vehicle and component testing and validation technology and services exhibition, featuring more than 400 exhibitors and attracting over 9,000 attendees. The 53rd Show will take place at the Le Bourget Parc des Expositions bringing together all the players of the global aerospace industry to showcase the latest technological innovations. All companies, constructors, components manufacturers and systems developers use this event to present their latest innovations to the world. The first four days of the Show will be reserved for trade visitors, followed by three days open to the general public. With 2,381 international companies, the International Paris Air Show at Le Bourget offers many commercial and marketing opportunities. The AIAA Forum is a premier event for presentation of recent progress on aircraft design, air traffic management and operations, and aviation technologies as well as policy, planning, and market issues affecting the future direction of the global aviation industry. It is a venue for interaction between researchers, system developers, product support personnel, managers, and business developers from throughout industry, government, and academia. With participants from around the globe, the most pressing issues impacting the future of aviation are tackled, while technical programs are presented that offer solutions through innovative research and technologies. The ASME Turbo technical conference features over 300 paper sessions of 1000+ papers and more than 80 panel, tutorial and lecture sessions. The technical conference has a well-earned reputation for bringing together the best and brightest experts from around the world to share the latest in turbine technology, research, development, and application. Turbo Expo offers networking opportunities with a dedicated and diverse trade show floor. The 3-day exhibition attracts the industry’s leading professionals and key decision makers, whose innovation and expertise are helping to shape the future of the turbomachinery industry. International Aviation and Space Salon MAKS is among the world’s largest aviation forums. 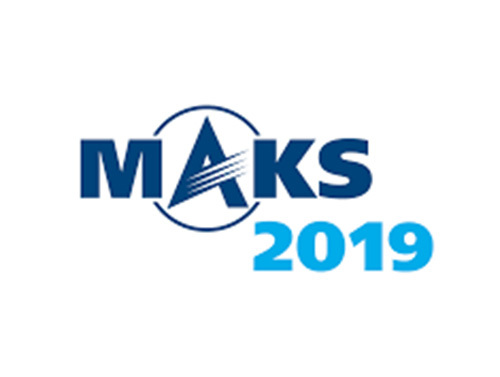 In addition to the airshow, MAKS consists of 150 conferences, roundtable discussions, briefings and seminars as well as a unique platform for scientific exchange that boosts research efficiency in many areas. The exhibition includes the latest innovations and new technologies in aerospace manufacturing. TPS is an industry event, offering a forum for the exchange of ideas between rotating equipment engineers and technicians worldwide. 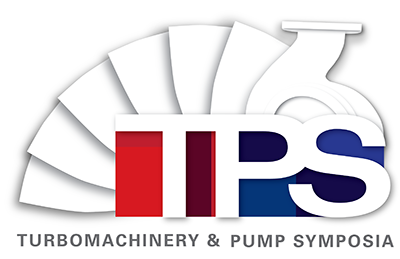 TPS is known for its impact on turbomachinery, pump, oil & gas, petrochemical, power, aerospace, chemical and water industries where it offers both a technical program and exhibition. As a leading supplier to the turbomachinery industry, Kulite is able to showcase our latest technology to new and existing customers. This event is America’s largest vehicle and component testing and validation technology and services exhibition, featuring almost 400 exhibitors and attracting over 6,000 attendees. Visitors can expect to see the latest in ADAS testing, NVH measurement tools, test rigs, simulation packages, durability testing technologies, crash testing know-how, dynamometers, emission measurement systems and dynamic assessment tools, as well as countless service providers such as proving grounds and test facilities. 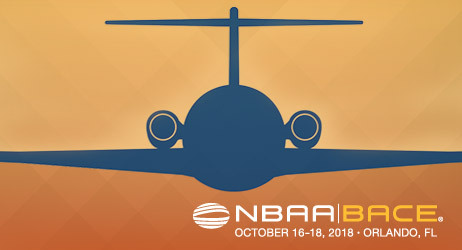 Ranked as a top-ten trade show in the United States, NBAA-BACE brings together 23,000+ attendees for the largest business aviation event in the world. The key operators and industry leaders will meet at NBAA-BACE to conduct business, make buying decisions and set the stage for business aviation activity for the year ahead. Attendees of NBAA-BACE are decision makers, buyers and influential personnel from companies at the heart of business aviation. An integral part of Autosport International this two day event is regarded by the industry figureheads as motorsport’s most important technology show. Autosport Engineering is a dedicated event for specialist technical suppliers to the motorsport and performance engineering sectors. The show embraces the cross-over of technology from other industries and showcases new suppliers and manufacturing expertise, creating many new business and networking opportunities. AIAA’s conferences provide scientists, engineers, and technologists the opportunity to present and disseminate their work in structured technical paper and poster sessions, learn about new technologies and advances from other presenters, further their professional development, and expand their professional networks that furthers their work. The Science and Technology Forum and Exposition (SciTech Forum) draws participants from around the globe. Plenary and Forum 360 participants tackled the most pressing issues impacting the future of aerospace, while the technical program presented innovative research and technologies that offer solutions. 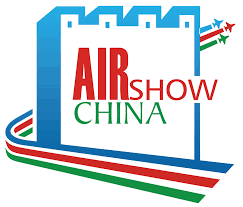 Airshow China is a 6 day event at the China International Aviation Exhibition Center in Zhuhai, China. The China International Aviation & Aerospace Exhibition features the display of real-size products, trade talks, technological exchange and flying display. AIRSHOW CHINA will gather international aviation and aerospace enterprises to showcase the latest technology and products in the fast-growing Chinese market. 2018 Auto testing expo is to host more exhibitors, showcase more brand-new technology and welcome more visitors than ever. Over 300 exhibiting companies will be out to demonstrate that their products are able to help with the ultimate aim of eliminating recalls plus improve vehicle reliability, durability, safety and quality. Over 25,000 industry professionals gather at NBAA for three days of business aviation. Ranked as the third largest trade show in the United States, the NBAA Business Aviation Convention & Exhibition brings together current and prospective aircraft owners, manufacturers and customers into one meeting place to get critical work accomplished. This year’s symposium theme is Tomorrow’s Flight Test. 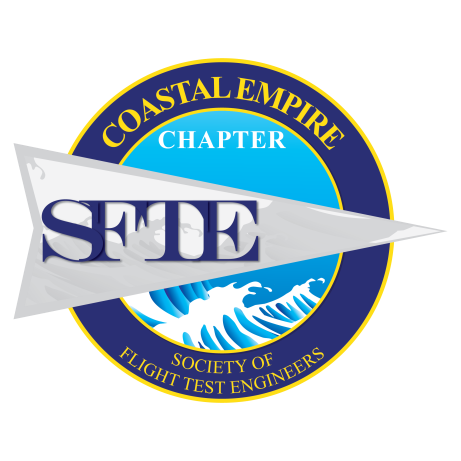 The objective of the Society is the advancement of flight test engineering throughout the aerospace industry by providing technical and fraternal communication amoung individuals, both domestic and international, in the allied engineering field of test operations, analysis instrumentation and data systems. China’s largest full vehicle and component testing and validation technologies and services show. The TETS Symposium is a biennial forum where the United States’ turbine engine community gathers to review and discuss the latest turbine engine technology advances. The Symposium draws an audience of approximately 1000 engineers, scientists, managers, and operational personnel from throughout the turbine engine community, including the Army, Navy, Air Force, NASA, DARPA, DOE, FAA, engine and aircraft manufacturers, material and component suppliers, and academia. The Farnborough International Airshow is an ultimate networking hub for the Aerospace & Defence Industries. Modelled around networking, FIA facilitates connections, interactions and opportunities for its exhibitors and visitors. A packed conference programme will include insightful keynotes, panel discussions and topical presentations from the industry’s leading innovators. AIAA AVIATION Forum, combines the best aspects of technical conferences with insights from respected aviation leaders, providing a single, integrated forum for navigating the key challenges and opportunities affecting the future direction of global aviation policy, planning, R&D, security, environmental issues, and international markets. Automotive Testing Expo Europe will be at Messe Stuttgart and will feature record numbers of exhibitors. The show is a launch pad in Europe for new technologies within the area of automotive test, evaluation and quality engineering. Additionally, companies will be out to demonstrate that their products are able to help with the ultimate aim of eliminating recalls. DATT Summit provides a unique meeting opportunity for the test, measurement, and telemetry companies that service the government and commercial aerospace industries. It features educational sessions from top industry professionals and an live demonstration lab/exhibit hall that showcases the newest technologies and services. The ASSAD Board has announced the 3rd International Aero-Engine Manufacturing Forum will be held in Moscow, Russia from April 4 to April 6, 2018. The Forum’s organizer is the Association of Aero-Engine Manufacturers (ASSAD) under the auspices of the genralny sponsor of United Engine Corporation. The science and technology program will include sessions with the Scientific and Technical Aero-Engine Manufacturing Congress, with reports to be published, as well round tables, presentations and seminars, scientific and technical conferences. The 2nd edition of Measurement Solutions Expo 2018 will be held on March 28-29, 2018 in Lyon, at the Cité Internationale Congress Center, organized by the Réseau Mesure in partnership with the French College of Metrology (CFM). This event targets the best industrial practices of measurement for those involved in technical processes, from the engineer to the technician and from quality through to production. TPS is an event, offering a forum for the exchange of ideas between rotating equipment engineers and technicians worldwide. TPS is known for its impact on turbomachinery, pump, oil & gas, petrochemical, power, aerospace, chemical and water industries. The International WorkBoat Show presents the WorkBoat Annual Conference curated by the editors of WorkBoat.com, WorkBoat Magazine, and the WorkBoat Content Team. Each day will feature a varied format consisting of a combination of round table discussions, interactive presentations and a series of networking opportunities, ideal for peer-to-peer problem solving and idea sharing. 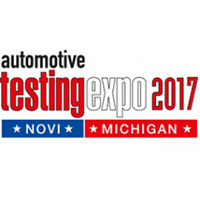 At Automotive Testing Expo North America 2017, see the very latest test technologies and services that are being used in the full automotive production process. Over 300 exhibitors will display their very latest products that are all improving vehicle reliability, durability, safety and quality. This symposium is a leading forum for the structural dynamics and vibration community where topics covered include shock-ship testing, water shock, weapons effects (air blast, ground shock, cratering, penetration) shock physics, earthquake engineering, structural dynamics, and shock and vibration instrumentation and experiment techniques. Also, over 200 technical papers are typically presented. 27,000 aviation industry professionals attend NBAA Business Aviation Convention & Exhibition, bringing together current and prospective aircraft owners, manufacturers and customers into one meeting place to get critical work accomplished. At Testing Expo China – Automotive 2017, see the very latest test technologies and services that are being used in the full automotive production process. From the initial prototype analysis through to end of line inspection and quality assurance, and every procedure in between, exhibitors will display their very latest products that are all improving vehicle reliability, durability, safety and quality. International Aviation and Space Salon MAKS is among the world’s largest aviation forums. MAKS offers a unique opportunity to those involved in the aviation and space industry business to get to know the opinion of decision-makers on key issues related to the development, production and sale of aviation equipment. ASME Turbo Expo brings together the best and brightest experts from around the world to share the latest in turbine technology, research, development, and application. The exhibition attracts the industry’s leading professionals and key decision makers, whose innovation and expertise are helping to shape the future of the turbo machinery industry. The International Paris Air Show is organised by the SIAE, a subsidiary of GIFAS, the French Aerospace Industries Association. The 52nd show will take place at the Le Bourget Parc des Expositions and bring together all the players in this global industry around the latest technological innovations. 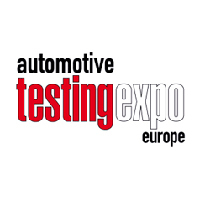 At the 19th Automotive Testing Expo Europe you can see the very latest technologies and services that are designed to ensure that the highest standards are met in terms of product quality, reliability, durability and safety. A premier forum for presentation of both recent progress on aircraft design, air traffic management and operations, and aviation technologies as well as policy, planning, and market issues affecting the future direction of the global aviation industry.